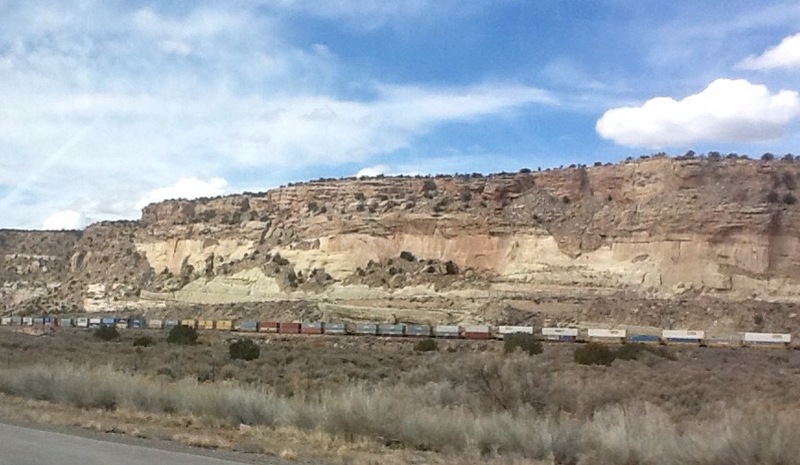 Left behind New Mexico today and continued our journey west on historic Route 66, aka I-40. 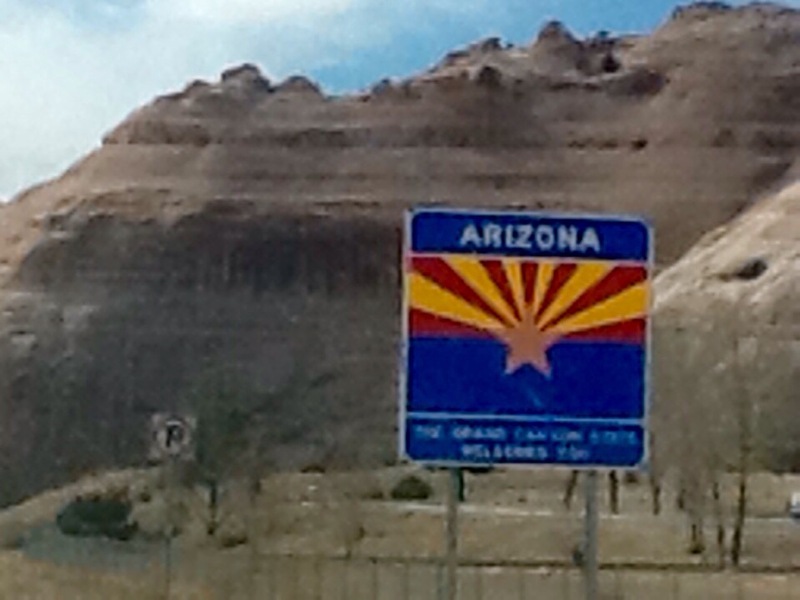 The welcome to Arizona sign opens up some wonderful scenery. 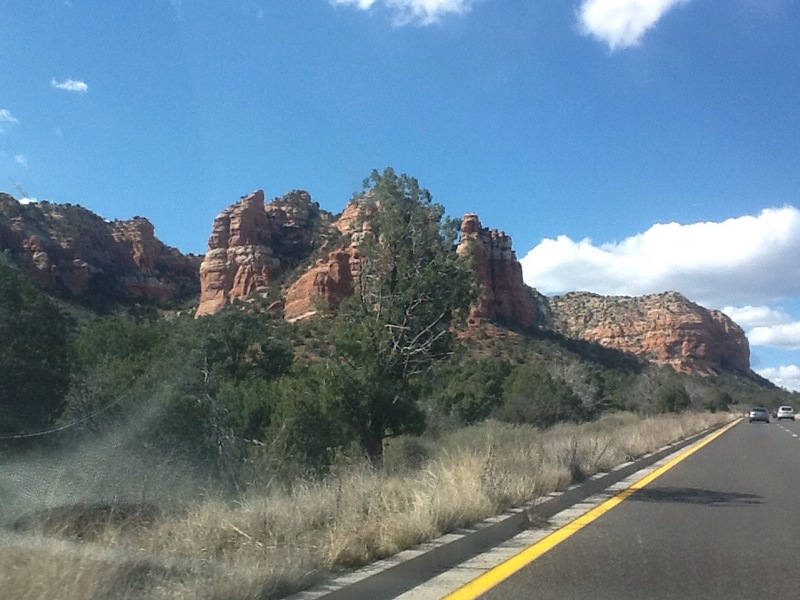 After all the flatlands in Oklahoma and Texas, we are really enjoying the beauty of our surroundings. 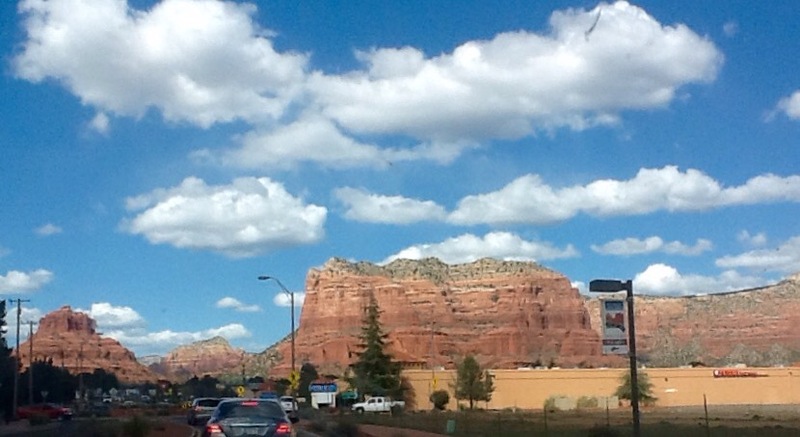 I never tire of the mountains, the red soil, the rocks, the caves and canyons in Arizona. I get a wonderful, peaceful feeling whenever I am in this state. 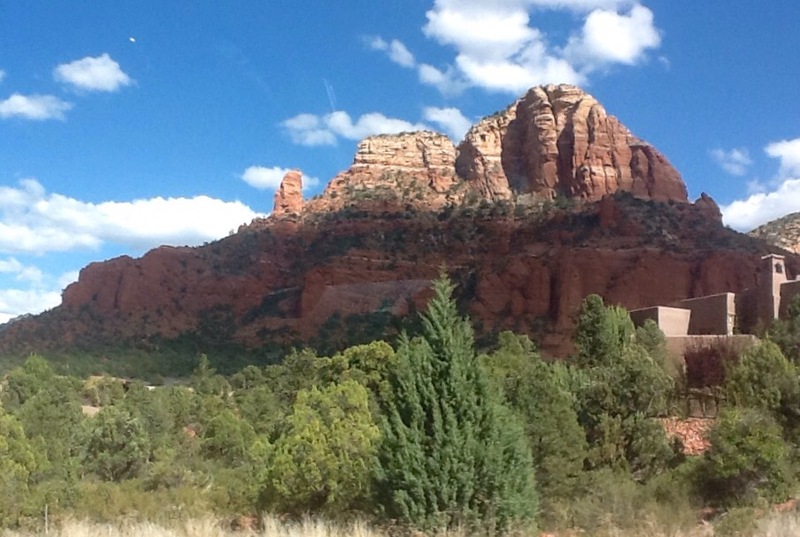 On the approach to Sedona, the beautiful Coconino National Forest gives way to the most stupendous of sights…. 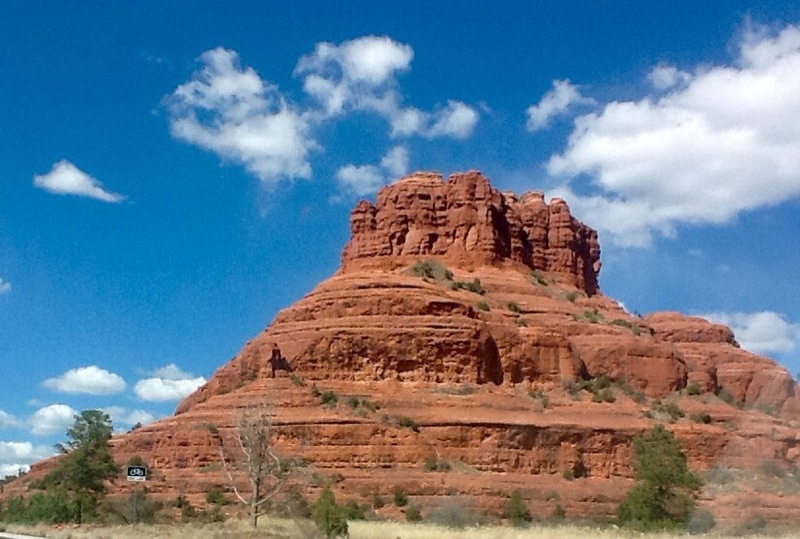 And then there’s Bell Rock. 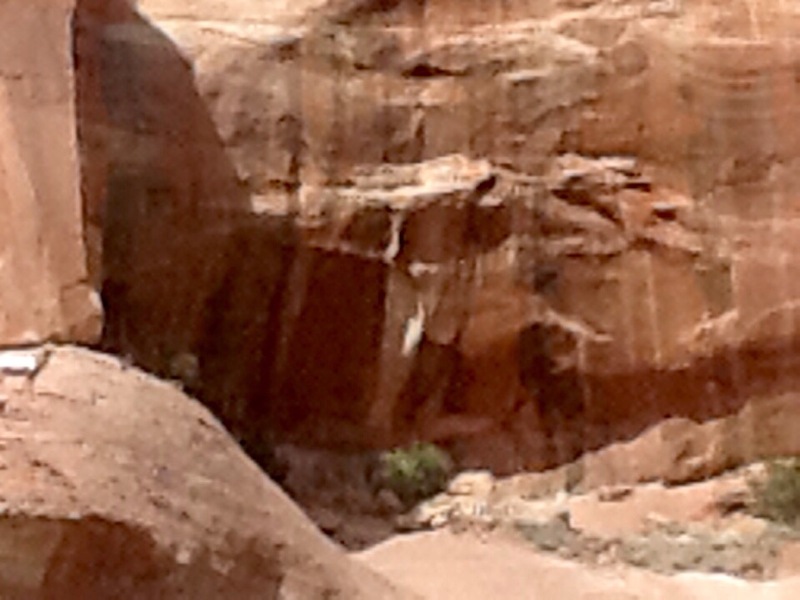 On the left in the picture above, from a distance. And below in all its regal glory!